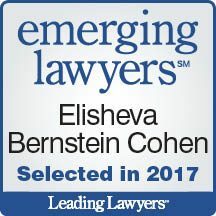 Elisheva Bernstein Cohen focuses her practice on estate planning and probate. 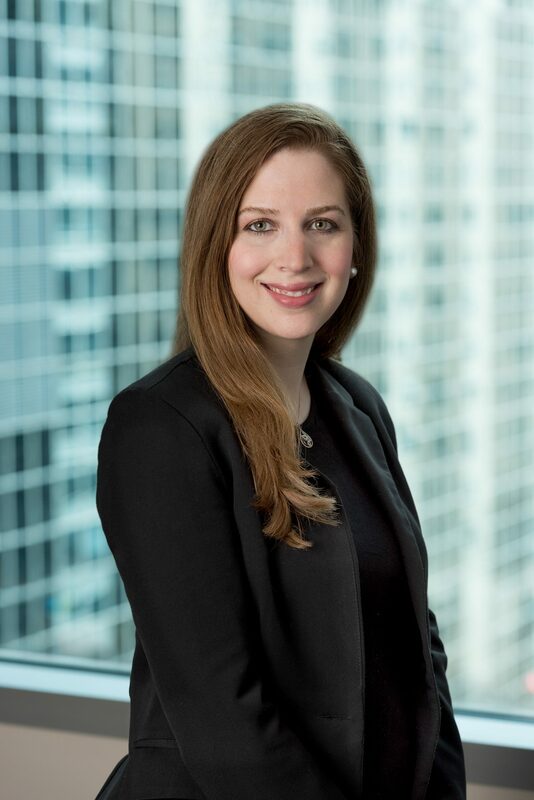 As part of her estate planning practice, Elisheva works with clients to prepare living and testamentary trusts, special-needs trusts, IRA conduit trusts, wills, living wills, and powers of attorney for healthcare and property. Elisheva assists clients with both simple and complex estate plans, as well as with the administration of both large and small probate estates, always ensuring that the concerns of the client are met. Elisheva earned her Bachelor of Arts, majoring in European History, from Barnard College, Columbia University. She attended law school as a Cardozo Scholar, graduating from the Benjamin N. Cardozo School of Law in New York City. While in law school, Elisheva worked as a research assistant for Professor Marci A. Hamilton in the area of Constitutional Law. She also served as a clerk for the Deputy Commissioner of Trials for the New York City Police Department. She is admitted to the Illinois State Bar and the New York State Bar. Represented and counseled families throughout all stages of probate administration, both simple and complex. Counseled clients on difficult familial issues that can arise when drafting an estate plan. Counseled parents with children with special needs about the their rights under the American with Disabilities Act. Counseled parents with children with special needs about estate plan options, insuring maximum future protection. Represented religious and other charitable organizations seeking to obtain non-profit status. Represented clients seeking to become the guardian of a minor.